Gigi Gryce born George General Grice, Jr. (November 28, 1925 - March 14, 1983) was an American jazz saxophonist, flautist, clarinetist, composer, arranger, and educator. While his performing career was relatively short, much of his work as a player, composer, and arranger was quite influential and well-recognized during his time. However, Gryce abruptly ended his jazz career in the 1960s. This, in addition to his nature as a very private person, has resulted in very little knowledge of Gryce today. Several of his compositions have been covered extensively ("Minority", "Social Call", "Nica's Tempo") and have become minor jazz standards. Gryce's compositional bent includes harmonic choices similar to those of contemporaries Benny Golson, Tadd Dameron and Horace Silver. Gryce's playing, arranging, and composing are most associated with the classic hard bop era (roughly 1953-1965). He was a well-educated composer and musician, and wrote some classical works as a student at the Boston Conservatory. As a jazz musician and composer he was very much influenced by the work of Charlie Parker and Thelonious Monk. 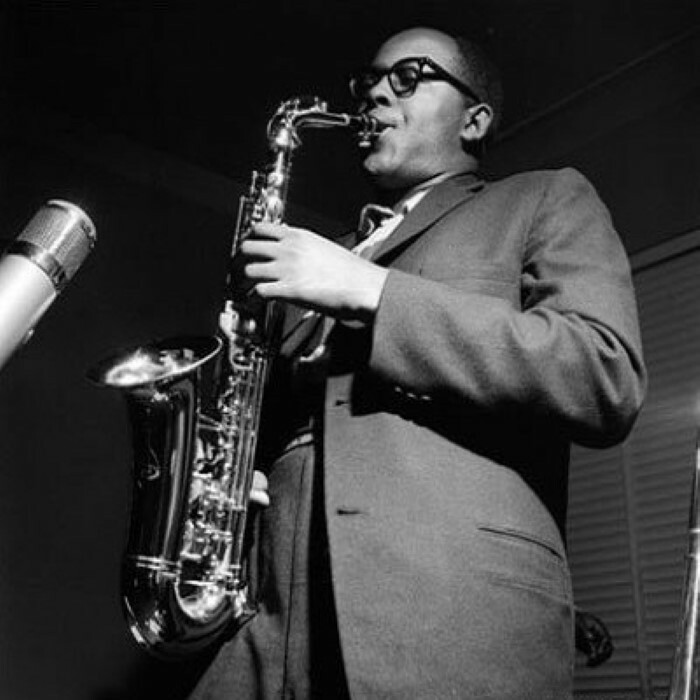 Gigi Gryce, born George General Grice Jr., was born in Pensacola, Florida on November 28, 1925. His family's strong emphasis on music, manners, and discipline had a tremendous effect on him as a child and into his later career. Grice's parents were of modest means, his mother a seamstress and his father the owner of a small cleaning and pressing service. The family belonged to the African Methodist Episcopal Church and attended services diligently. Especially as the Great Depression began to take its toll on the family's financial welfare, the Grices did their best to instill the value of discipline and hard work in their children. Music was very much emphasized in the Grice household. The family had a piano in the house, which Gigi and his siblings (four older sisters and one younger brother) were encouraged to play. Mostly church music was performed in the Grice home, while pop and jazz was mostly frowned upon. (Later, however, when Gigi pursued jazz as a career, his mother and older sisters would support him personally and financially.) Many of the Grice children were encouraged to pursue vocal performance at church, school, and other community; for a time the family even held weekly recitals in their home. The early thirties saw tragedy and hardship for the Grice family. In 1931, as the economic crisis of The Great Depression began to take hold, the Grices were forced to sell their cleaning business. Two years later, Gigi's father George Sr. died after suffering a heart attack. Rebecca Grice was forced to raise the children as a single mother, relocating the family in order to rent out the house. Even through this hardship, however, Rebecca continued to motivate her children for success through strict but supportive parenting, encouraging musical development, hard work, discipline, and Christian morals. Gryce graduated from high school in 1943, working at the shipyard and playing in Raymond Shepard's professional band for a time before being drafted by the navy in March 1944. Gryce continued to pursue music during his two year term, making his way into the navy band and earning the rank of musician second class. While stationed in Great Lakes, Illinois, Gryce spent time in Chicago during leaves and became more acquainted with the sound of bebop. It was at this time that he bought his own alto saxophone, and in Chicago that he met musicians Andrew "Goon" Gardner and Harry Curtis. Gryce may have even briefly studied at the Chicago Conservatory of Music. After completing his time in the navy, Gryce decided to continue his musical education, financially supported by the G.I. Bill as well as his mother and older sisters. He moved to Hartford to live with his sister Harriet and her husband in 1946, and the following year enrolled at the Boston Conservatory. At the Boston Conservatory Gryce developed his theoretical background and studied classical composition, writing three symphonies and a ballet in addition to other works. He was very much inspired and influenced by the work and philosophy of Boston Conservatory composer Alan Hovhaness, a musical eclectic whose passion was for melodicism and lyricism. During his time at the conservatory Gryce also developed connections in the Hartford, Boston, and New York jazz scenes which would have a tremendous effect on his later career as a jazz musician, composer, and arranger. While New York was best known for cutting edge jazz of the time, both Boston and Hartford were also the sites of active and innovative jazz scenes. Gryce traveled between the two cities, and arranged for local bands including those of Sabby Lewis, Phil Edmonds, and Bunky Emerson. While Gryce developed his theoretical background and a passion for the works of Bartok and Stravinsky, he simultaneously developed an obsession for the work of Charlie Parker and Thelonious Monk, who he became acquainted with and performed with around 1949. Gryce developed a reputation as a well-trained and talented artist, and became relatively well known in the local Boston and Hartford scenes. He also began to explore the New York scene, where he would eventually find himself in the early fifties. Gryce is rumored to have traveled to Paris on a Fulbright scholarship in 1951 to study with Nadia Boulanger and Arthur Honegger. However, there is much confusion and rumor surrounding this period in Gryce's life, and there is no evidence to suggest that Gryce did receive a Fullbright or formally study with the two composers. Gryce did take two semesters off to study in Europe, but little is known about his travels. It is possible that he studied with the composers privately. While Gryce did propagate the Fullbright rumor himself to substantiate his credentials, Gryce had little else to say about this time in his life. After graduating with a degree in composition in 1952, Gryce relocated to New York City, where he would enjoy much success in the mid fifties. In 1953 Max Roach recorded one of Gryce's charts with his septet, and soon after Gryce recorded with Howard McGhee and wrote for Horace Silver's sextet as well. Gryce became very influenced by Tadd Dameron, with whom he played in 1953 at the Paradise Club). Gryce had not yet reached his peak as a musician or soloist, but was developing a reputation as a versatile and talented composer and arranger. Later in 1953 Gryce also contributed a tune, "Up in Quincy's Place" to Art Farmer's Prestige recordings. While this recording was rather inconsequential, Farmer would become one of Gryce's closest colleagues. One of the most important connections Gryce made in New York was with Quincy Jones, who encouraged Lionel Hampton to hire Gryce for his band in the summer of 1953. After playing with Hampton's band in the States, Gryce was invited to join the band for their European tour. While the style of the Hampton band was outdated and overly commercialized in Gryce's eyes, the opportunities and connections made on the European tour were largely what propelled Gryce into success as an artist. In Hampton's band Gryce played with Anthony Ortega, Clifford Solomon (tenor saxophone), Clifford Scott, Oscar Estelle (baritone saxophone), Walter Williams (trumpet), Art Farmer, Clifford Brown, Quincy Jones, Al Hayse, Jimmy Cleveland, George "Buster" Cooper, William "Monk" Montgomery, and Alan Dawson. Gryce became particularly close friends with Clifford Brown, with whom he found much in common. The Hampton tour did not pay well, and Gryce and others frequently sought recording opportunities on the side, particularly in Stockholm and Paris, where Europeans were eager to record touring Americans. There was already some tension in the band between young bebop-influenced musicians and the more established swing musicians (including Hampton himself), and Hampton did not react well when he heard his musicians were recording on the side. The recordings Gryce made with Clifford Brown and others on the tour were often hurried and done on the fly, yet they were instrumental in building his career, particularly as a composer. Notable of these European recordings were "Paris the Beautiful", featuring tonal centers a third a part and a Parker-Influenced solo by Gryce; "Brown Skins", a concerto for a large jazz ensemble; "Blue Concept", recorded by the Gryce-Brown sextet; and "Strictly Romantic", which oscillates between A flat and G major. In addition, Henri Renaud recorded an entire album exclusively of Gryce's work, which did a great deal to build his reputation. Gryce and the other personnel from the Hampton Band returned to New York in November 1953, where the hard bop scene was just beginning to gain traction. This was the perfect time for Gryce to arrive on the scene. Soon after his return, he recorded with Henri Renaud, and Art Blakey recorded seven of Gryce's songs for EmArcy records. Gryce formed a quintet with Farmer in March 1954, which first recorded for Prestige Records in May of that year. Personnel included pianist Horace Silver, bassist Percy Heath, and Drummer Kenny Clarke. Gryce's works with Farmer are some of his most influential and best known. In June of that year Gryce again recorded with Farmer, this time exclusively as composer and arranger. By the time Farmer and Gryce began their third project, they had hit their creative stride. The record made in May 1955 by the Farmer-Gryce quintet featured pianist Freddie Redd, bassist Addison Farmer, and drummer Art Taylor. This session exemplifies Gryce's feel for thematic development, all of the pieces artfully composed and arranged. Later in 1955 Gryce also played for Oscar Pettiford's octet, and got the opportunity to play alto in Thelonious Monk's recording with Percy Heath and Art Blakey for Signal Records. The final ticket to Gryce's success was his third recording with the Farmer Quintet in October of 1955 and his nonet recordings for Signal Records immediately after. The Farmer record featured nonstandard forms, and adventurous arrangements which pushed the limits of the hard bop idiom. His Signal Records arrangements were very much influenced by the style and instrumentation of the Miles Davis' Birth of the Cool group, and were very well received by the jazz community. By the mid-1950s Gryce was a major figure in jazz, known as a great individualist, a competent studio musician, and an innovative composer. In addition to his musical career, Gryce was a vehement advocate of composers' and musicians' rights. In 1955 he started his own publishing company, Melotone Music, and later an additional company called Totem. This was a time when black musicians in particularly were taken advantage of by the music industry. Many musicians neglected the business side of their careers or were actively cheated by record companies. As a composer Gryce always ensured that he got credit for his work, and actively encouraged his colleagues to do the same. Silver largely credits Gryce with inspiring him to found his Ecaroh Music company and the Silveto label. Little is known about Gryce's financial troubles in the early 1960s, but this hardship very much contributed to Gryce's breakdown and withdrawal from the jazz community. Gryce stayed on the cutting edge through 1956 until his career peaked in 1957. He worked on several projects as composer and arranger with the Teddy Charles Tentet and the Oscar Pettiford Orchestra. The Tentet began as an outgrowth of Charles Mingus' Jazz Composers Workshop, and was very successful as a performing dance band despite its experimental nature. His work with the Oscar Pettiford Orchestra was also extremely well-recognized, producing significant coverage to the musicians who participated as well as Gryce himself. In 1957 Gryce and Donald Byrd collaborated on a series of projects with Jazz Lab, which produced play-along recordings as educational tools. Gryce's arrangements were fresh but accessible, tailored for educational purposes. The rhythm section played with a soloist to give the play-alongs a more natural feel. The group also performed, and gave a rather lukewarm performance at the Newport Jazz Festival. 1957-60 saw a series of miscellaneous projects for Gryce. He continued to play with the Jazz Lab, as well as writing for Betty Carter, Art Famer, Jimmy Cleveland, Curtis Fuller, and Max Roach. He put together his own quintet, which he renamed the Orch-tette after adding vibraphonist Eddie Costa in 1960. His recordings with the Orch-tette had potential, but featured intricate arrangements which limited space for solos. Gryce worked on a handful of other projects in 1960, including a film score to On the Sound by Phil Baker and a final studio recording on Randy Weston's Uhuru Afrika. However, by this time Gryce was becoming preoccupied with business troubles associated with his publishing companies, as well as some family issues. Gryce's genre of Hard Bop was beginning to give way to more experimental strains. Around 1963, Gryce withdrew completely from his jazz career. From childhood Gryce was always marked by a private and formal disposition. While he was very well liked by his colleagues, he was often very much an outsider in the community. Gryce also followed a strict moral lifestyle, abstaining from alcohol, drugs, and other vices common among his colleagues. Gryce is known to have had two romantic relationships before his marriage to Eleanor Sears in 1953. Gryce had a brief relationship with Evelyn "Baby" Dubose in Pensacola during his Pensacola and Navy years, for whom he named his piece "Baby", recorded in Europe in 1953. He also had a casual relationship with vocalist Margie Anderson, who he worked with during his time in Boston. On December 20, 1953, soon after his return from the Lionel Hampton tour, he married Eleanor Sears, to whom he was introduced by trumpeter Idrees Sulieman. Together they had three children: Bashir, born in August 1957; Laila, born in 1959; and Lynette, born February 1963. They also had a child, Bilil, in 1958 which was born prematurely and did not survive infancy. Gryce had always been described as having a strict moral sensibility. He may have been interested in Islam as early as 1950, and as a student became interested in religious history. At the Boston Conservatory in 1953 he named one of his symphonies "Gashiya" for a surah in the Qur'an. Gryce reveals little about who or what urged his conversion, but Islam was an increasingly popular faith among black jazz musicians in the fifties, particularly Ahmadiyya, Nation of Islam, and Sunni Islam. Gryce is believed to have converted during or shortly after his travels in Europe during his college years. While Gryce did not regularly attend the mosque, he did read the Qur'an and abstain from drugs, alcohol, and pork. His faith was a source of some tension in his marriage to Eleanor, who remained a practicing Christian. Many of Gryce's compositions would receive Islamic titles, and first two children also had Islam-inspired names. Gryce, always a private man, little is known about the real nature of Gryce's retreat from jazz, as this period is characterized by a great deal of misunderstanding and rumor. Gryce revealed very little about his business hardships, but what is known is that his publishing business encountered financial troubles in the early 1960s, with many musicians withdrawing from Melotone and Totem. Many of his colleagues believe that powerful interests considered Gryce's publishing activities a threat, and were forcing him out of business. Rumors circulated about intimidation and threats to his family. While these rumors have not been confirmed, Gryce's behavior become extremely introverted and erratic during this time. He dissolved his publishing companies in 1963 and gave up his music career, thereafter adopting his Islamic name entirely, Basheer Qusim. In the 1960s Gryce reinvented himself as a public school teacher in New York. He was somewhat interested in education throughout his life, and was said to be an excellent music instructor. He received a Masters degree in education from Fordham University in 1978 and developed an incredible passion for teaching. He left a lasting legacy at Elementary School No.53 in the Bronx, which was renamed in his honor after his death. Students, colleagues, and parents who encountered Gryce during this time knew him as a very private, serious, passionate, and caring man. Believing that music aided literacy, Gryce was a strict but caring teacher, and went out of his way to aid students at educational risk, working at an under-resourced mostly black and Hispanic school. Gryce died on March 14, 1983 of a heart attack after becoming increasingly ill. Before his death he reached out to his family again, and visited Pensacola for the first time in almost thirty years. While in many ways his work exemplifies the conventions of the hard bop era, Gryce always attempted to push the limits of common practice. As an educated composer with an extensive theoretical background, Gryce was prone to unconventional harmonization, form, and instrumentation as his style developed. In "Up in Quincy's Place", one of his very early tunes, Gryce was rather ahead of his time in his frequent use of quartal harmony, a practice that would be popularized during the cool jazz era. His compositions and arrangements with Farmer continued to feature nonstandard forms and harmonies 175. His approach to hard bop treaded the line between experimental and accessible, particularly in later work with the Teddy Charles Tentet and the Oscar Pettiford Orchestra. As an experimental composer, his goal was not jazz without limits, but forms which provided boundaries which liberated the soloist. While Gryce was a very accomplished saxophonist, clarinetist, and flautist his playing tended to be less innovative than his writing. As a saxophonist he was always very much influenced by Charlie Parker, who he had always idolized and became friends with in the mid-fifties. Contemporaries recall that Parker would sometimes borrow Gryce's horn.